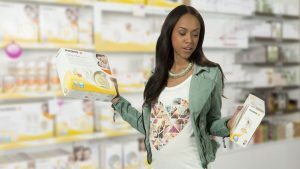 The Basics of Breast Pumps | The New Mummy Company Inc.
What is a breast pump and How do I find the right one for me? From the minute you discover you are pregnant, people want to know everything! When are due? Is a boy or a girl? Are you going to breast or bottle feed? Health care professionals discuss different feeding options for your baby with you; they discuss pros and cons, types of feeding, bonding, etc. You hear mentions of breast pumps, but nobody actually sits down and explains what pumping is! Whether you are expecting a baby, or you have a new baby, you might have some questions about breast pumps and if you even need one. A breast pump is a device that draws milk from your breast. They can remove milk from one breast at a time or both breasts simultaneously. Pumps are useful when you need to give your milk to your baby in a bottle or a cup when you are unable to breastfeed, either due to being separated from your baby or you are unable to breastfeed directly for any reason. 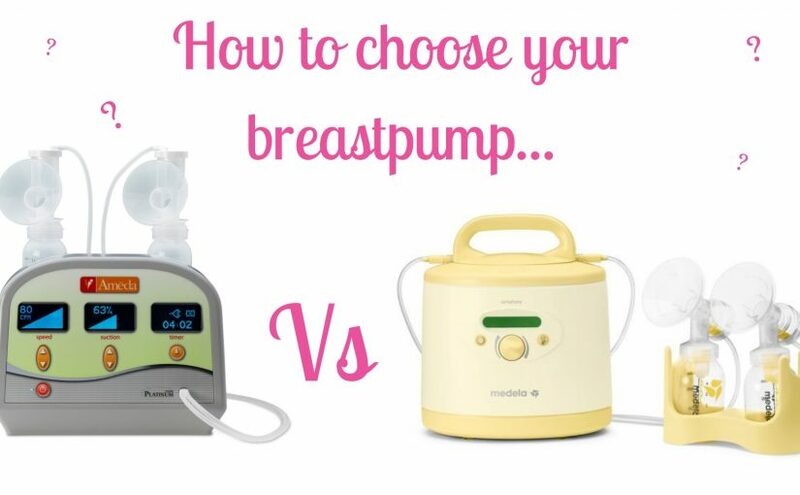 Are all breast pumps the same? 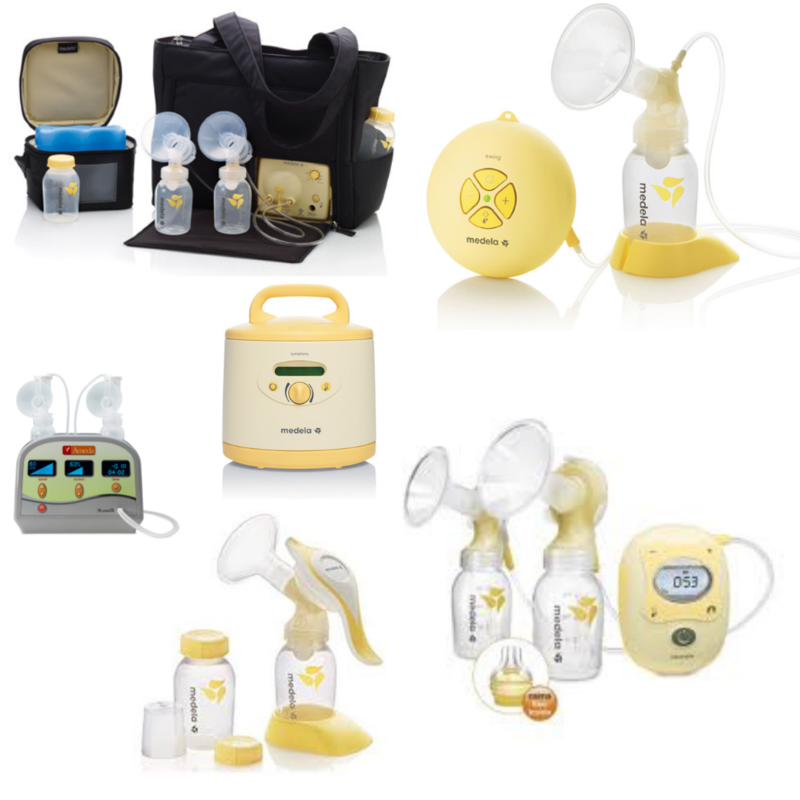 There are a wide variety of breast pumps available – both hand-operated and electric, single and double breast pumps. A single breast pump has one pump part that is designed to pump milk from one breast at a time. A double breast pump is designed to pump milk from both breasts at the same time as it has two pump parts attached to the machine but can often be altered to a single breast pump. Why does it matter if it is a single pump or a double pump? There are a number of differences between single and double pumps, including the amount of time you spend pumping, the amount of effort you have to put in to pumping and the amount of milk you produce. Single breast pumps are designed for occasional use, primarily for breastfeeding mothers that almost exclusively nurse their little ones but who pump occasionally for comfort or if they are away from their baby for a brief amount of time. Single breast pumps are available in both hand-operated models (Manual Pumps) or electric models. Double breast pumps are only available as electric models, both chargeable and non-chargeable. There are two different types of electric double breast pumps: personal-use and hospital grade. They are more expensive than manual and single breast pumps, but they are less tiring as you can extract milk from both breasts at the same time. Personal-use breast pumps are sold widely in many pharmacies and baby stores. A personal-use breast pump is a pump you can purchase in a store and is designed for one user only, otherwise known as a ‘single-user’ pump. The reason many retail breast pumps are single-user only is because they often have an ‘open system’, meaning that they are open to milk particles when pumping. These milk particles can transfer bacteria, viruses and fungal infections if they are shared between users. Personal-use breast pumps are great for moms who need to pump often for their babies. Hospital grade breast pumps are double electric breast pumps that are mains electricity operated, meaning they need to be plugged in to work. These pumps get their name from the fact they are multiple-user pumps, used on Mother and Baby units in hospitals worldwide. Hospital grade breast pumps are more powerful and robust than personal-use breast pumps as they are designed to be used very frequently by many users. They are considered medical devices and have a closed system, meaning they can be fully sanitized between each mom who uses the pump. Unlike the pump, the plastic kit you use to collect your milk should never be shared between moms and you should purchase this new when using the hospital grade breast pump. Hospital grade breast pumps are available to rent so you can have the power and technology used in hospitals in the comfort of your home. Renting this pump is a great option for exclusively pumping moms as there is an extended warranty and life-span on the motor of the pump, plus you have the added security that if the pump stops performing well during your rental you have the support of your rental provider. You are separated from your baby due to them being an inpatient in a NICU. You have low milk supply or lactation issues. You have had breast surgeries in the past. You have difficulty latching your baby to the breast. You are having issues with milk transfer from the breast to babe. You have health complications which hinder direct breastfeeding. If you are leaving baby in the care of another care provider and want them to have your milk to drink while you are away. If you want to share feeding responsibility with baby’s other parent or family members. If you are engorged or your breasts are full, and you want to feel more comfortable. If you are temporarily taking medication that is not recommended when breastfeeding but want to keep up your supply. If you want to increase your milk supply through more stimulation. You can express milk using your hand – this is a skill that you should be taught by an experienced lactation consultant or health professional. Hand expression is a free way of expressing your milk, but sometimes takes practice to perfect the technique and pressure needed to drain milk from the breast. You may also choose to express your milk using a breast pump. How do I know what breast pump is right for me? What you want the pump for? How often are you going to use the pump? Deciding which breast pump is right for you may be something you need to decide when your baby is born, particularly if it is your first baby. Unless you know from previous experience, you may not know your pumping needs while you are still pregnant. Breast pumps can be expensive, which is why we don’t recommend people put them on their gift registry, unless they know they are certain that pump is the right one for them. If you are unsure, it can be more cost effective to try pumping by renting a hospital grade breast pump. You can learn the skill of pumping with the most robust breast pump available which not being tied into a big upfront cost, plus you have the support of the rental station during your rental. If you have any questions feel free to call us on 1-844-237-4686 or email admin@newmummycompany.ca .